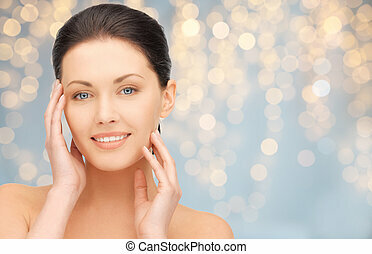 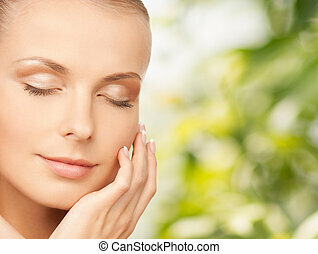 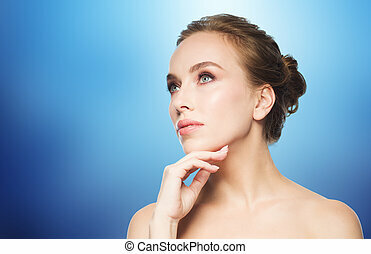 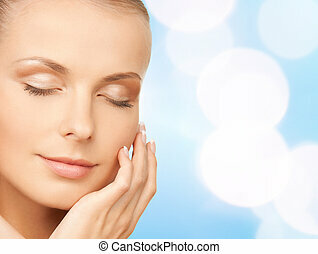 Beauty, people and health concept - beautiful young woman touching her face over blue background. 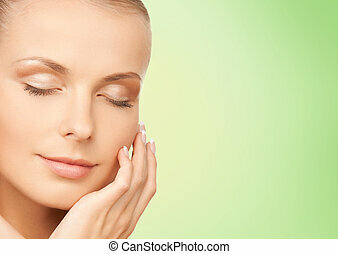 Beautiful young woman touching her face. 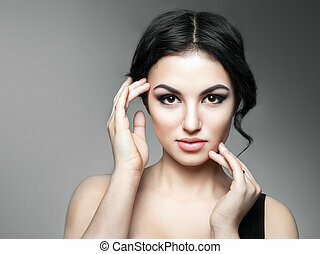 Beautiful Young Woman Touching Her Face. 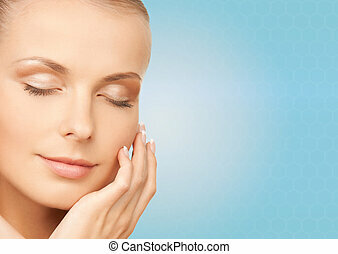 Fresh Healthy Skin. 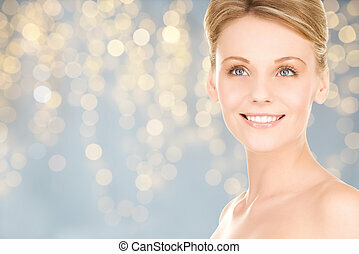 Beauty Girl Portrait. 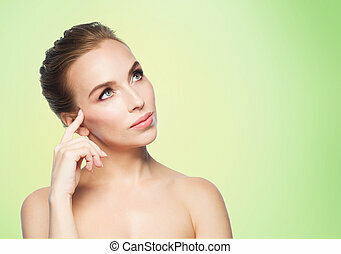 Beautiful Young Woman Touching Her Face isolated on White Background.